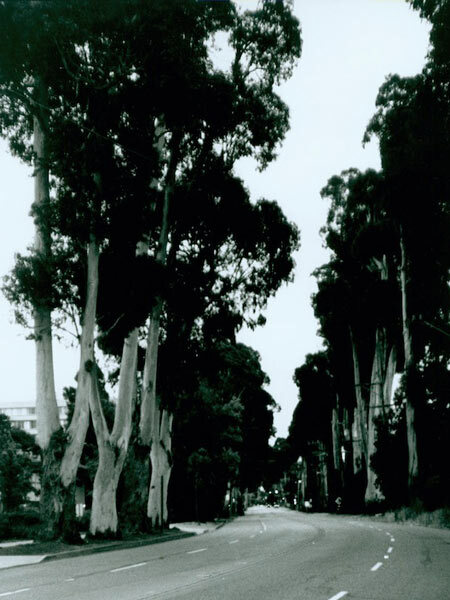 From 1873 to1876, horticulturalist John McLaren beautified a 4-mile section of the dusty, windblown California State Route 82, or El Camino Real, with 557 trees planted in three rows flanking the road. 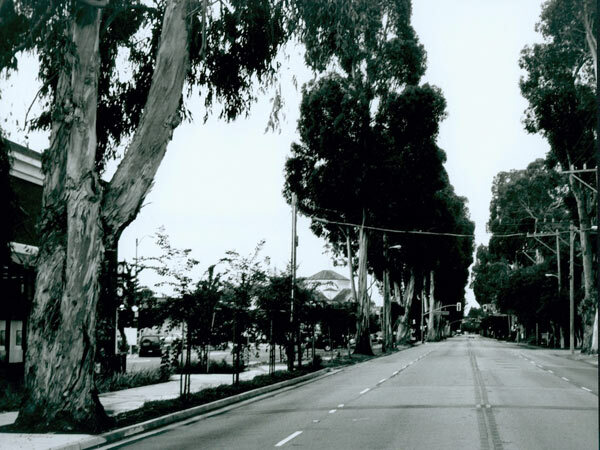 It was McLaren’s earliest work in California and one of the state’s first landscaped roadways. 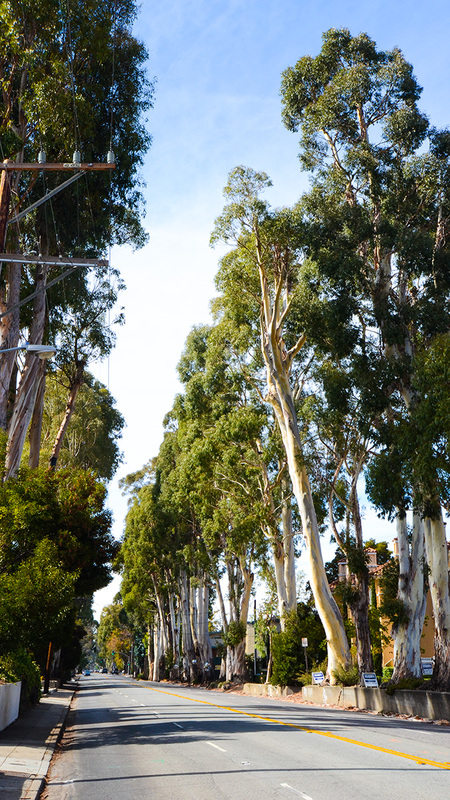 Intended as an ornamental windbreak, the plantings created a leafy boulevard of English elms intermingled with blue and manna gum eucalyptus. His design led to the development of large estates for prominent businessmen, including developers George H. Howard and William C. Ralston, for whom the tree rows are named. Traffic on the road increased beginning in 1909, when it was made a state highway and later paved. 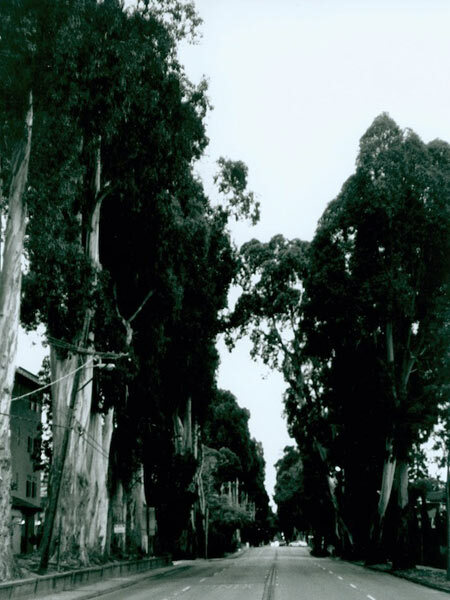 During the 1920s, property owners indiscriminately cut down trees, resulting in the City of Burlingame enacting a zoning ordinance to protect the linear roadway from further commercial development. Their efforts saved a single row of trees on each side. Further development and depletion has left 2.2 miles of the original four intact. Many of the elms succumbed to disease in the 1960s and have since been replaced. Today, in some areas, a paved sidewalk lies between the trees and curb line, with fences serving as a backdrop for contiguous residential properties. With houses often set back from the street, the park-like atmosphere is further enhanced by the mature, stately tree canopy. The northern portion of the road has trees planted in wide islands. The tree rows were listed in the National Register of Historic Places in 2012.